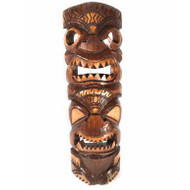 Tikimaster offers unique hand carved Tikis from the Pacific islands. 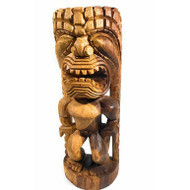 With Tiki carvers around the globe, we have the uniqueness to provide the best hand carved Tiki sculptures, the quality control is done here locally on the island of Oahu, Honolulu. All of our high end tikis carved out of monkey pod are coated with Sikkens for maximum protection. Most of our Tikis are carved after the Hawaiian tiki idols but we also carry designs from New Zealand, Marquesas and Cook Islands.